I Love English, 오늘은 임신과 관련된 다양한 영어 표현 알아보겠습니다. A: Wow! Your baby bump is quite visible now! When are you due? B: I’m expecting my child in July. A: So you are three months pregnant. Do you have any morning sickness or cravings? B: Surprisingly I don’t have any of that! A: 와우! 이제 배가 제법 나왔나요. 예정일이 언제에요? A: 그러니까 임신 3개월 정도 된거네요. 입덧이나 특별히 먹고 싶은 건 있나요? 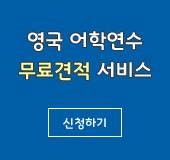 B: 신기하게도 전혀 그런게 없네요. Your baby bump is quite visible now! = Your baby bump is quite noticeable now! 이제 제법 배가 많이 나왔네요! Your belly is quite large! (참고) 한국 사람들은 출산일이 가까운 사람에게 ‘배가 남산만 하네요!’라고 말하기도 하는데요 말 그대로 하면 ‘Your belly is as large as a mountain’ 정도로 표현할 수 있는데요, 미국 사람들은 이런 표현은 사용하지 않고, 그냥 ‘Your belly is quite huge!’, ‘your belly is quite large’라고 표현한다는 것도 알아두세요! ex) A : When is the baby due? B: I’m expecting my daughter in February. A: So you are 8 months pregnant. B: Right. I’m in my 8th month. Ex) 전 스트레스 받으면 초콜렛이 먹고 싶어져요. I have a craving for chocolate when I get stressed out. I’m craving something : ~무엇 무엇이 먹고 싶다. Ex) I’m craving white rice : 전 흰 쌀 밥이 먹고 싶어요. = I have a craving for white rice.